Firstly congratulations to Chrisette Michele for hitting Number 1 spot with The Lyricists’ Opus! What is The Lyricists’ Opus? It’s Chrisette’s own opus with violins, celo, horns,percussion, piano and with the Guitar Slayer Justin on the guitar. A no judgement zone where she sings soul, gospel, country and rock – all kinds of art which sounds. The Lyricist Opus sounds like one long piece with 5 movements. 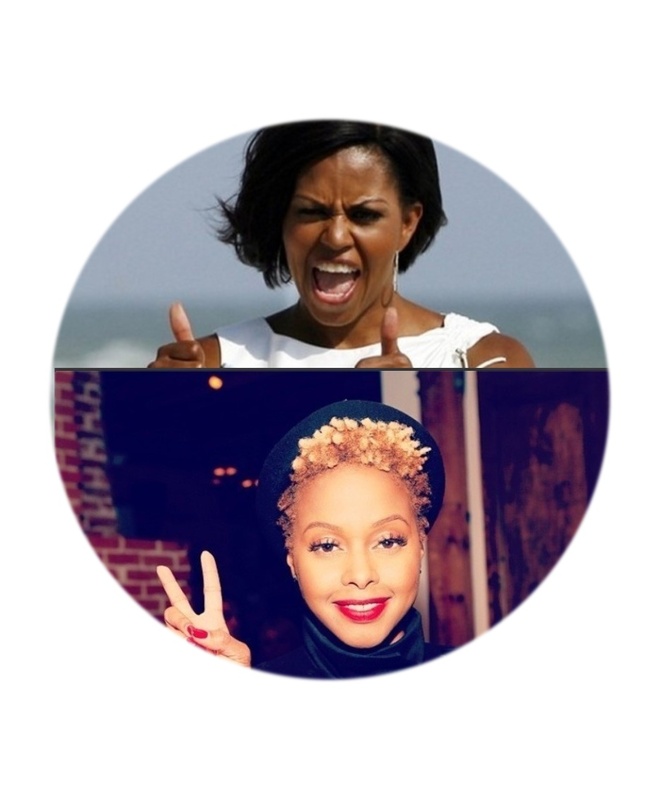 The Lyricists’ Opus is Chrisette Michele’s favourite thing that ever happened! On the day she has her EP release party for her favourite thing that ever happened, having this independent project reach number on the R&B charts and then have Michelle O come up to you and say ‘I’m a big fan of yours’…let’s sip some mulled wine as these thoughts warm up our hearts. We all have long established that I am a Chrisette Michele super stan, loving her, loving her art, her voice, her poise, her down to earthness, her making you believe you could hang with her and have the most awesome ‘GIRRL’ moments, her maturity in apologising to Chante Moore (R&B Divas LA), her humbleness, her sense of style (we share a love for Ted Baker)…sigh..Now imagine how geeked out I was when I found that another woman I stan for is there with me heading #RichHipsterNation fandom the lady herself MRS MICHELLE OBAMA aka FLOTUS! Yes hunty, Michelle Obama is a super fan and the thought of the two of them having such a great moment together #LindaHoneyListen awesomeness is a literal understatement of that moment. I digress from my moment of losing my cool, going into super stan mode and come back to talk about the awesome #TheLyricistsOpus. As stated above it is 5 movements (songs) Art, Super Chris, Together, Hennessy Shot and Make Us One. This album feels very personal, like Chrisette is inviting us into her world, the thoughts she goes through, how she is more worried about the art and fame ain’t the aim..she wonders is it okay that she writes what she thinks for a living, unity is why she creates art to unify different people. Then she takes us on this little voyage – of in love Chris (aren’t Chrisette and Justin just too awesome TOGETHER? )Together and Hennessy Shot are definitely songs to add on your ‘Love playlist’ if you’re one of the super sentimental couples who make each other playlists during the holidays. Make Us One takes us to church, a great way to end one long piece of music, with God. I totally understand as an artist why Chrisette wondered if her fans would appreciate this new music, whether they would send ‘judgey’ vibes her way..it is all in the process of creating art. However this piece, this body of work, this art, is genuis, it is soul, it music, it embodies the souls of Rich Hipsters and for that I’d like to say Chrisette Michele THANK YOU FOR THE ART!